Here is our 3rd annual Year in Review! And, what a year it was for Press Play in 2018! I want to extend a big THANK YOU to all our clients who chose us to help them celebrate their special occasions! 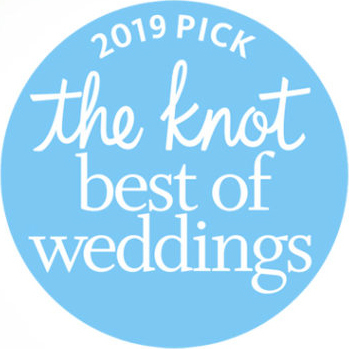 We also want to give a big SHOUT to our AWESOME vendor partners, who have become some of our closest friends in the industry and have helped us throw some great parties; Rachel @ Rachel G Events, Deb & Jen from sh Events, Elin from Elin Photography, Christian from Boston Photo Booth Rentals, Marc from Memories in an Instant, Scott and family from DJ Scott Events, and many more! Another special THANK YOU to Rebecca Moran from Moran Media, who continually helps us with our website. I, personally, want to thank my incredible team of Super Star DJs, Emcees, and dancers; Jay, Alan, Mikey V, Tony, Russ, Aly, Danaysha, and Rob, you make this job fun and memorable, not only for our clients, but for me as well. I would not want to party with anyone else. With 2019 right around the corner, we wanted to share some of our top lists and things from 2018. After over 25 years, we finally did a back-to-back gig at the same venue, on the same day. We released our new website. Fantastic job Rebecca! Finally, all of us at Press Play Entertainment would like to wish everyone a very Happy and Healthy New Year! Let’s keep the momentum going on another great year! 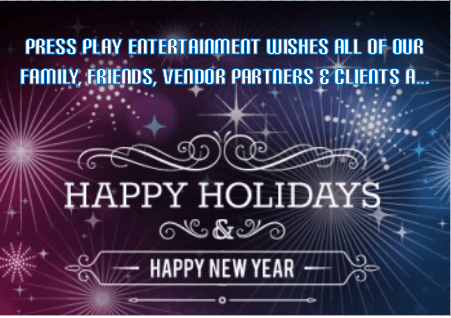 Thanks again to all of our clients, past and present, for choosing Press Play Entertainment to help you celebrate your special events and occasions. It was truly an honor! Thank you to the great vendors we had the pleasure of working beside to create memorable experiences for our guests; including Elin Photography, Snapshot Entertainment, Boston Photo Booth Rentals, Memories in An Instant, the Needham Sheraton, Ken Berman Photography, and Creative Celebrations, to name a few. A very big shout-out to my family of superstar DJs and Emcees who make my job fun, exciting, and extremely enjoyable. Jay, Russ, Kevin, Alan, Eli, and Rob, you guys are the best! To the loves of my life, Jodi and Dylan (aka Team Levine), thank you for your continuous and unconditional love and support. You are my best friends and I couldn’t do any of this without you! We hope that you have a very Happy and Healthy Holiday Season! Here’s to an exciting 2016. We can’t wait to see what the New Year brings!